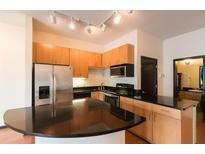 Find Chamblee, GA Homes for sale. View Photos, Maps and MLS Data Now! Enjoy The Convenience Of Nearby Highway Access And Hosting Made Simple, As This Home Is Located Near Pet-Friendly Trails, Dining, And Shopping Centers Within Walking Distance. MLS#6538254. 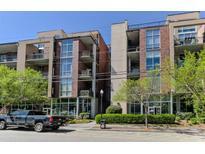 Keller Williams Buckhead. 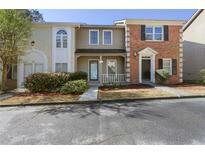 Fee Simple Townhome With Low Hoa Fees! MLS#6534713. Ansley Atlanta Real Estate, Llc. Enjoy An Evening Walk To Dining, Shops, Marta & The New Peachtree Station. MLS#6532693. Atlanta Communities. 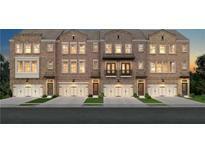 Turnbury Gates - Convenient To B'Head, Parks, Hospitals, Shops, Restaurants, I-285, I-85 & Ga400! MLS#6530641. Keller Williams Rlty-Ptree Rd. Amazing Opportunity To Take Advantage Of Introductory Pricing In This Amazing Location, Near Town Brookhaven, Peachtree Station, And Ashford Park Elementary! Estimated Delivery Is Aug/Sept 2019. MLS#6530342. Taylor Morrison Realty Of Georgia, Inc..
Amazing Opportunity To Take Advantage Of Introductory Pricing In This Amazing Location, Near Town Brookhaven, Peachtree Station, And Ashford Park Elementary! Estimated Delivery Is Aug/Sept 2019. MLS#6530332. Taylor Morrison Realty Of Georgia, Inc..
Amazing Opportunity To Take Advantage Of Introductory Pricing In This Amazing Location, Near Town Brookhaven, Peachtree Station, And Ashford Park Elementary! Estimated Delivery Is Aug/Sept 2019. MLS#6530356. Taylor Morrison Realty Of Georgia, Inc..
Amazing Opportunity To Take Advantage Of Introductory Pricing In This Amazing Location, Near Town Brookhaven, Peachtree Station, And Ashford Park Elementary! Estimated Delivery Is Aug/Sept 2019. MLS#6530361. Taylor Morrison Realty Of Georgia, Inc..
*Photos Are An Illustration Only. Estimated Delivery Is Aug/Sept 2019. MLS#6529911. Taylor Morrison Realty Of Georgia, Inc..
*Photos Are An Illustration Only. Estimated Delivery Is Aug/Sept 2019. MLS#6529926. Taylor Morrison Realty Of Georgia, Inc..
*Photos Are An Illustration Only. Estimated Delivery Is Aug/Sept 2019. MLS#6529987. Taylor Morrison Realty Of Georgia, Inc..
*Photos Are An Illustration Only. Estimated Delivery Is Aug/Sept 2019. MLS#6529971. Taylor Morrison Realty Of Georgia, Inc..
Amazing Opportunity To Take Advantage Of Introductory Pricing In This Amazing Location, Near Town Brookhaven, Peachtree Station, And Ashford Park Elementary! Estimated Delivery Is Aug/Sept 2019. MLS#6529421. Taylor Morrison Realty Of Georgia, Inc..
*Photos Are An Illustration Only. Estimated Delivery Is Aug/Sept 2019. MLS#6529250. Taylor Morrison Realty Of Georgia, Inc..
Amazing Opportunity To Take Advantage Of Introductory Pricing In This Amazing Location, Near Town Brookhaven, Peachtree Station, And Ashford Park Elementary! Estimated Delivery Is Aug/Sept 2019. MLS#6529410. Taylor Morrison Realty Of Georgia, Inc..
*Photos Are An Illustration Only. Estimated Delivery Is Aug/Sept 2019. MLS#6529260. Taylor Morrison Realty Of Georgia, Inc..
*Photos Are An Illustration Only. Estimated Delivery Is Aug/Sept 2019. MLS#6529198. Taylor Morrison Realty Of Georgia, Inc.. Enjoy Entertaining At The Pool & Clubhouse During The Warm Months! MLS#6515339. Knock Homes, Llc..
*Photos Are An Illustration Only. Estimated Delivery Is Aug/Sept 2019. MLS#6527969. Taylor Morrison Realty Of Georgia, Inc..
*Photos Are An Illustration Only. Estimated Delivery Is Aug/Sept 2019. MLS#6527996. Taylor Morrison Realty Of Georgia, Inc..
Amazing Opportunity To Take Advantage Of Introductory Pricing In This Amazing Location, Near Town Brookhaven, Peachtree Station, And Ashford Park Elementary! Estimated Delivery Is Aug/Sept 2019. MLS#6527965. Taylor Morrison Realty Of Georgia, Inc..
Amazing Opportunity To Take Advantage Of Introductory Pricing In This Amazing Location, Near Town Brookhaven, Peachtree Station, And Ashford Park Elementary! Estimated Delivery Is Aug/Sept 2019. MLS#6527988. Taylor Morrison Realty Of Georgia, Inc..
Amazing Opportunity To Take Advantage Of Introductory Pricing In This Amazing Location, Near Town Brookhaven, Peachtree Station, And Ashford Park Elementary! Estimated Delivery Is Aug/Sept 2019. MLS#6527974. Taylor Morrison Realty Of Georgia, Inc.. The New Peachtree Station, With Whole Foods, Is Close By. Pool, Tennis, Rooftop Entertaining Area. MLS#6527163. Engel & Volkers Atlanta. Turnbury Gates - All In Gated Community With Pool And Clubhouse. Don'T Miss This One. MLS#6526694. 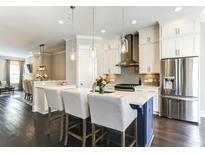 Atlanta Fine Homes Sothebys Intl..